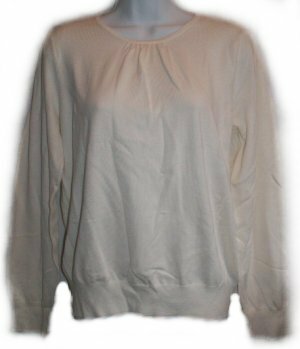 High quality, fine knit classic sweater by LIZ CLAIBORNE! Round neck with a slight ruffle for a feminine touch. Grab this classic for less. Rayon/nylon fine knit in creamy off-white. Chest: 40", Length: 24". BRAND NEW!